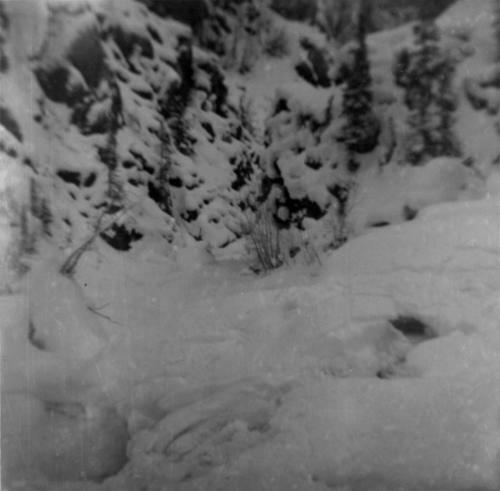 Photograph depicts glacier on McDame Creek road, 1.5 miles from the mine at Cassiar. Snow-covered trees in background. Handwritten annotation on recto in blue ink: "GLACIER ON McDAME CREEK ROAD 1 1/2 MILES FROM MINE DEC. 24/51" "T.T.T. ".